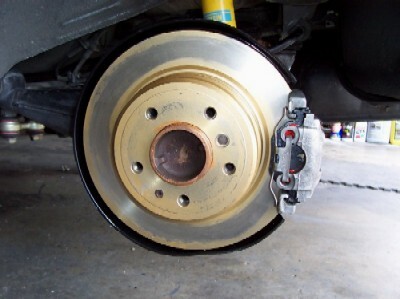 The brakes were completely upgraded and renewed. 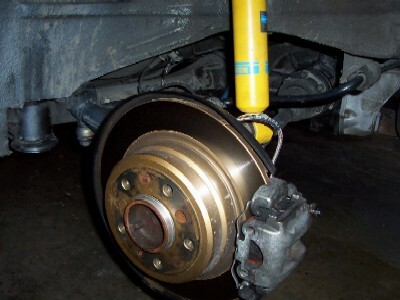 Larger rotors and calipers combined with a larger bore master cylinder resulted in dramatically improved braking performance and a firm pedal with a great "feel". 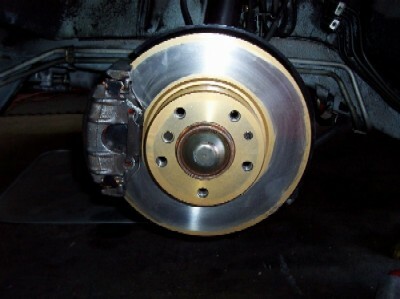 Larger rotors and calipers from a 7 series car were installed. The new rotors at 300mm are the same diameter as the M6. 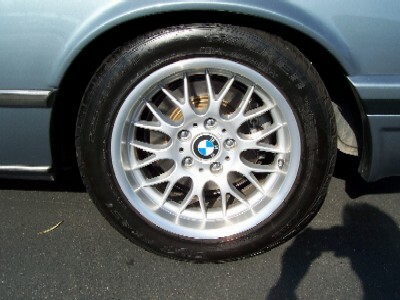 The rotors were painted with high temperature paint to minimize corrosion and for appearance. 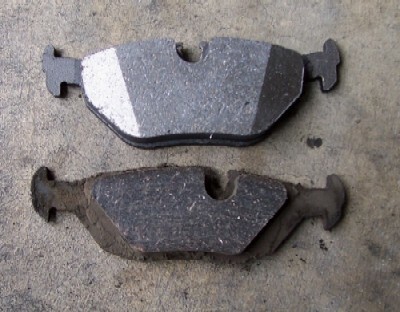 The calipers use larger pistons and pads. The calipers were rebuilt and new carbon metallic pads were installed. 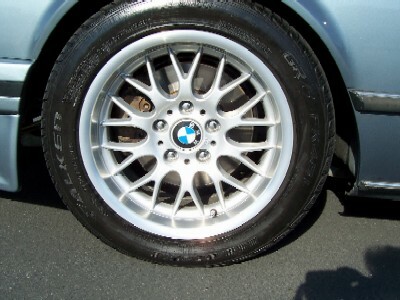 Larger rotors and calipers from a 5 series car were installed. These were sized with the new fronts to provide the same brake balance as the original system. The calipers were rebuilt. New rotors and pads were installed. 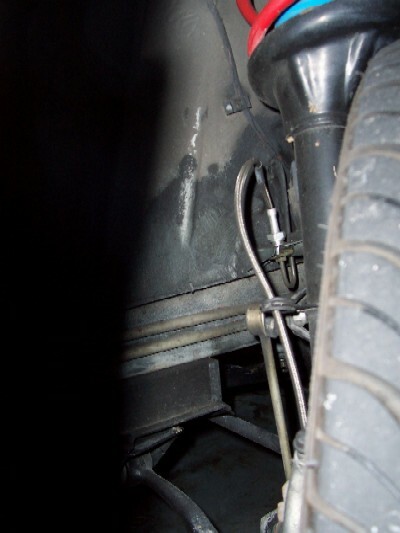 New stainless braided brake hoses were also been installed. Not only were the rotors larger but the pads were too. Here's a comparison of the rear pads. Semi-metallic pads were used throughout. A new master cylinder from a 7 series car was installed. The larger bore of this cylinder compensated for the larger caliper pistons and provided the proper pedal depression and firmness. The brake booster was rebuilt with a new O-ring. 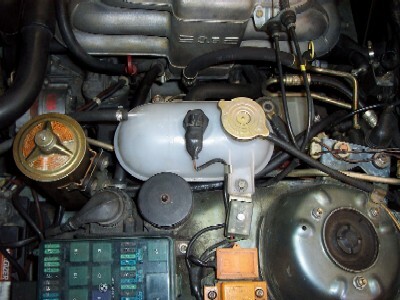 The brake accumulator ("bomb") and brake pressure switch are new. 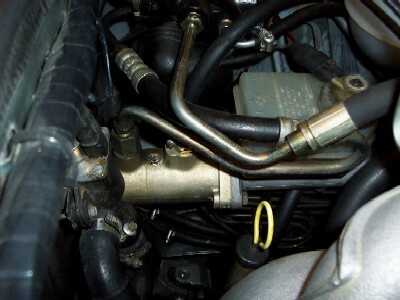 The high pressure hose, and all of the hoses to the reservoir, steering box and P/S pump were new. A new reservoir filter was installed. Redline Hi Temp ATF was used.